Congratulations to Po-Zu Managing Director Safia Minney MBE who was named No. 9 in the inaugural 2018 Top100 Corporate Modern Slavery Influencers earlier this week. The rankings of the 2018 Top100 influencers can be viewed here. The inaugural 2018 Annual UK Top100 Corporate Modern Slavery Influencers’ Index, co-created and co-curated by BRE and Sustain Worldwide, has been conceived to simultaneously raise awareness of modern slavery and labour exploitation while recognising the key influencers who are supporting its eradication. Anti-trafficking charity Hope for Justice is the official charitable partner. The Index is based on the combination of influence on social media, as measured by Kred scores, and advocacy – policy input, speaking and media engagement – in public life, which is evaluated by desktop research. 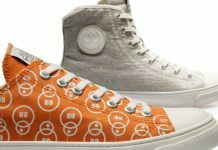 The two metrics are then aggregated via a proprietary algorithm and evenly weighted to produce the final rankings. An independent panel has verified the Index’s transparency, impartiality and robustness. Safia Minney MBE is Founder of People Tree and Managing Director of ethical footwear brand Po-Zu. She has been a pioneer in ethical business and a campaigner for corporate accountability and eco-friendly lifestyle for more than 30 years, here and in Japan. Safia has established Fair Trade supply chain solutions, initiated World Fair Trade Day with the WFTO, and has defined PR and marketing campaigns and the strategic directions needed to reach new markets. At the heart of everything she has done has been a creative force and passion to deliver social impact, human rights and sustainability. 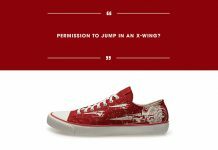 Safia is author of 9 books, including ‘Slave to Fashion’, which exposes modern slavery in the fashion industry. 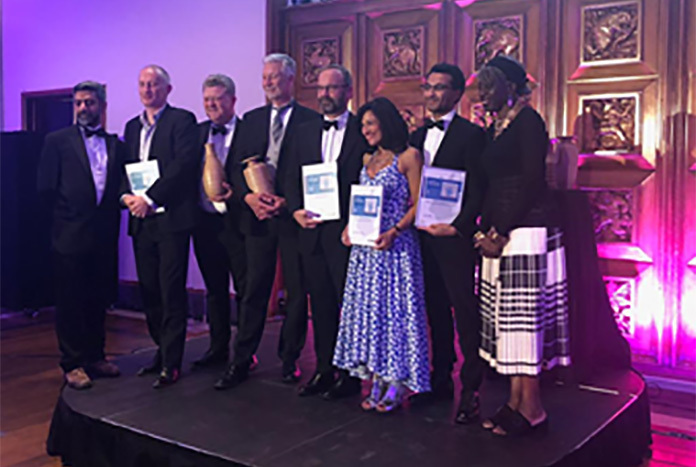 The rankings were announced on 26 September by Baroness Young of Hornsey OBE at a Recognition Dinner held at RIBA, Central London. “I am honoured to be recognised as having influence as part of this movement against modern slavery. We must all stand up for what is just and decent as human beings. For me, it’s been a personal journey of 30 years, and through the generations, as my great grand-mother was a bonded labourer in a sugar plantation. My passion and anger comes from seeing the violence and institutional corruption that silences, exploits, and abuses human beings. Our legal systems are largely dysfunctional in the developing world, where private security forces vastly out-number the police, who are in any case often corrupt. Victims of human trafficking, child labour, and forced and bonded workers rarely have recourse to the law or safe-haven. I’ve dedicated my life to proving Fair Trade and ethical business is economically possible. We all say that slavery is abhorrent, shocking and disgraceful, but we continue to buy products and services that are clearly made by people in slavery. The middle and professional classes are absolutely complicit in this. 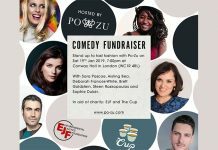 They can afford to buy and support Fair Trade and ethical brands and help create a level playing field, so these better brands like People Tree and Po-Zu, can thrive and continue to set the agenda for change. Modern Slavery is an ‘umbrella’ term for labour exploitation, forced labour, child labour and human trafficking. In 2017, 5,145 potential victims were referred to Britain’s National Referral Mechanism, a 35 per cent increase on the previous year. The UK Government has estimated there are between 10,000-13,000 people held in modern slavery in Britain today. The Global Slavery Index has estimated there are 45.8million people across 167 countries in modern day slavery. 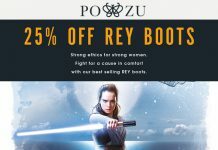 Po-Zu will be running a 25% website wide sales promotion of slavery-free, ethically produced sustainable footwear to celebrate, www.po-zu.com. 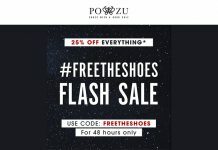 To celebrate this achievement, Po-Zu are offering a 25% off website promotion of salvery-free, ethically produced sustainable footwear using the code GLOBAL25 here — happy hunting!